Parasailing is easy, fun and an experience few will ever forget! Slowly you’ll rise into the air, above and behind the boat. The silence is breathtaking. The view, awe inspiring! Parasailors are on the boat for approximately one hour with a maximum of 6-12 passengers per boat (flying and non-flying). 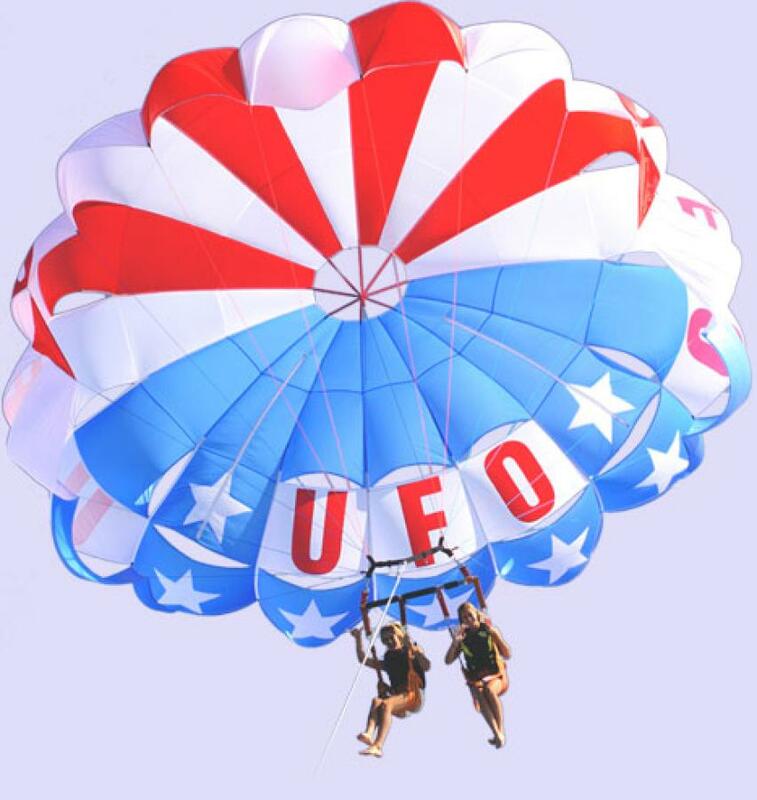 Our parasail boats are USCG certified to carry 12 passengers; however, we limit our trips to 8 passengers for more time in the air and less time on the water unless larger groups request to be together. 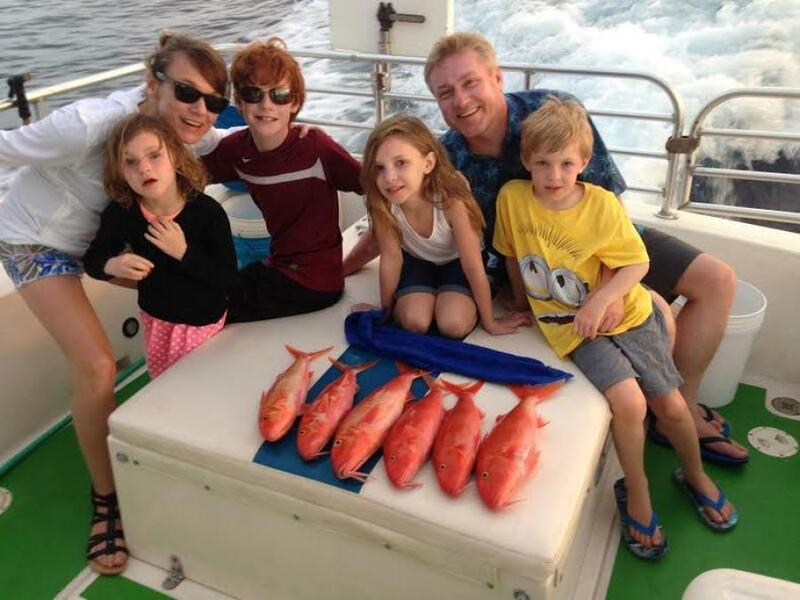 Participants must be at least 3 years old in order to parasail or ride on the boat as a paying observer. Parasailors must weigh at least 130 pounds to fly alone. Tandem and triple flights are available with a maximum weight limit of 450 pounds. The captain can increase or decrease these restrictions at their sole discretion based on safety, wind and sea conditions. 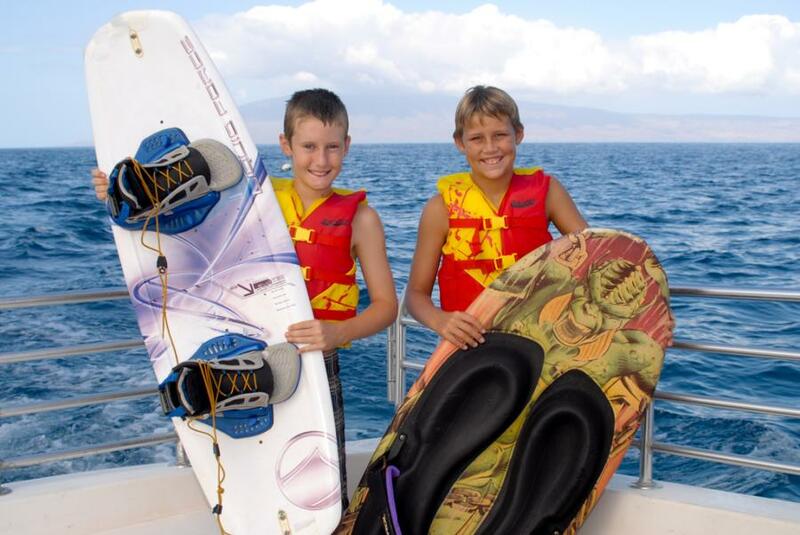 Parasailing is conducted year round in Kona. We offer flights throughout the day, between 8:00 am and 5:30 pm.We occasionally add more trips during busy periods. Please phone us for additional times not displayed on our website. Call toll free: 1-800-359-4836. 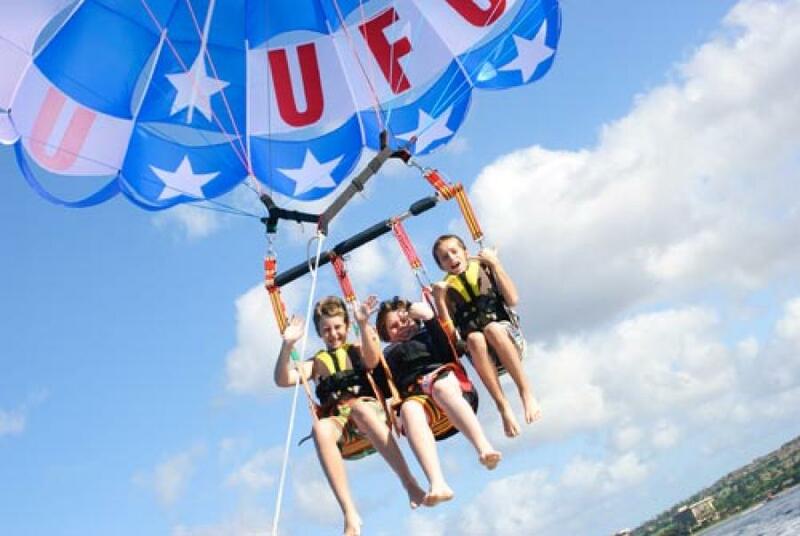 We also provide parasailing on Maui. 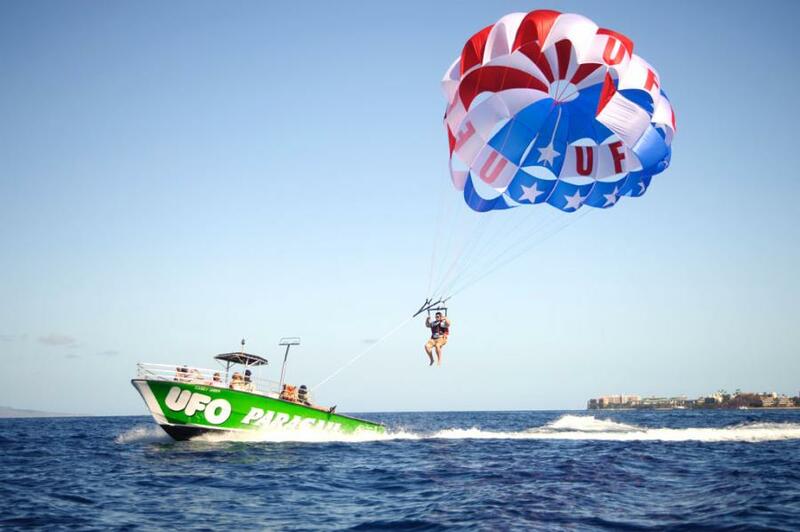 Although the total time on the boat is approximately 1 hour, the length of the individual parasail rides vary depending on the package you’ve chosen, and how many parasailors go up at a time. See table below. 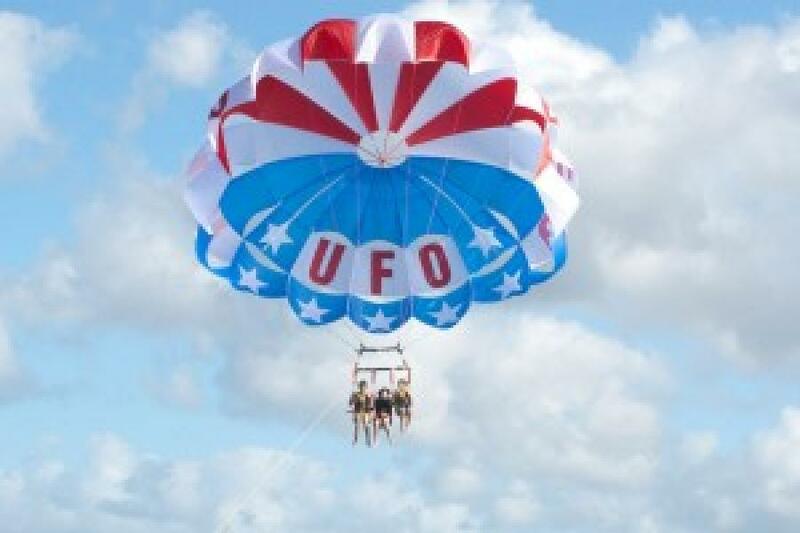 Duration for parasailing: Although the total time on the boat is approximately 1 hour, the Deluxe 800' Flight is 8 minutes long for singles and 10 minutes long for tandems/triples. The Out of this World 1200' flight is 10 minutes long for singles and 12 minutes long for tandems/triples. For passenger comfort, there is a maximum 8 passengers per boat, though we can accommodate any size group among all of our parasail boats. Cancellation policy: 24 hour cancellation required for a full refund. Weight restrictions: Minimum weight to fly alone is 130 pounds. Maximum weight for tandems or triples is 450 pounds. The captain can increase or decrease these limits at their sole discretion based on safety, wind and sea conditions. Physical Restrictions: Participants must be able to walk down the dock and board the parasail vessel with minimal or no assistance. The boats are not wheelchair accessible. Age Restrictions: Minimum age to parasail or ride on the boat as a paying observer is 3 years old. The observer fee is $35 per person. All participants are required to sign liability waivers before participating in this activity; parent or adult legal guardian must sign liability waiver for any participating minors under 18 years old.